An active and intelligent man, who dedicated his life in a pioneering for the time vision. 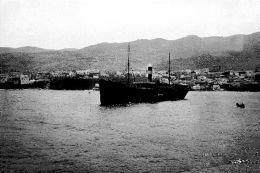 Lambakis was born in Athens in 1854, and was the second (of four) children of Demetrios Lambakis and Margarita Plati from Tinos. He and his brothers passed their childhood with their mother Margarita and with the support of the Holy Foundation of Evaggelistria of Tinos. Georgios grew up in poverty with a strongly religious background, dreaming of becoming a priest. He studied Theology in Athens and Christian Archaeology in Germany. When he returned to Greece, he showed a strong interest in the study and preservation of Christian Archaeology. In which way has he turned his vision into reality? 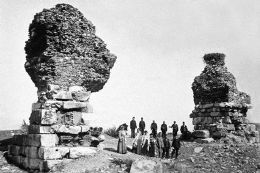 Lambakis was one of the founders of the Christian Archaeological Society (ChAE) in 1884. 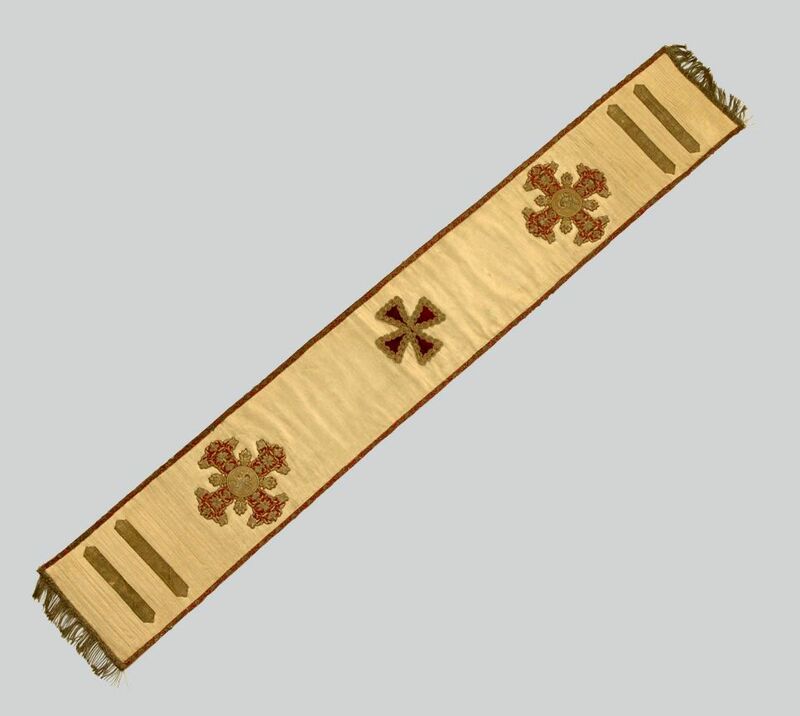 Since 1885 he was secretary to the Queen Olga, who put the Society under her protection. 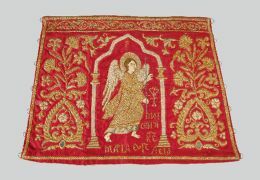 The objective of the Society was to preserve Christian Monuments, to collect artefacts and to found a Museum of Christian Archaeology. 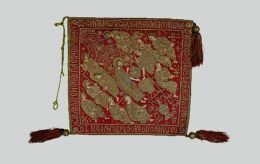 G. Lambakis worked with admirable zeal to attain these objectives; he has created and academically documented the collection of the Christian Archaeological Society. How the Collection was created? 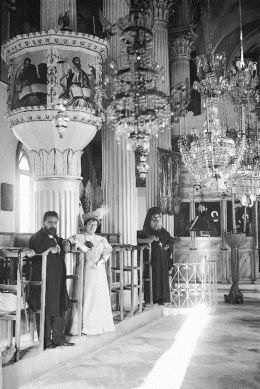 From 1891-1909, Lambakis undertook a series of Journeys within Greece and in other centres of Greek and Christian Civilization. 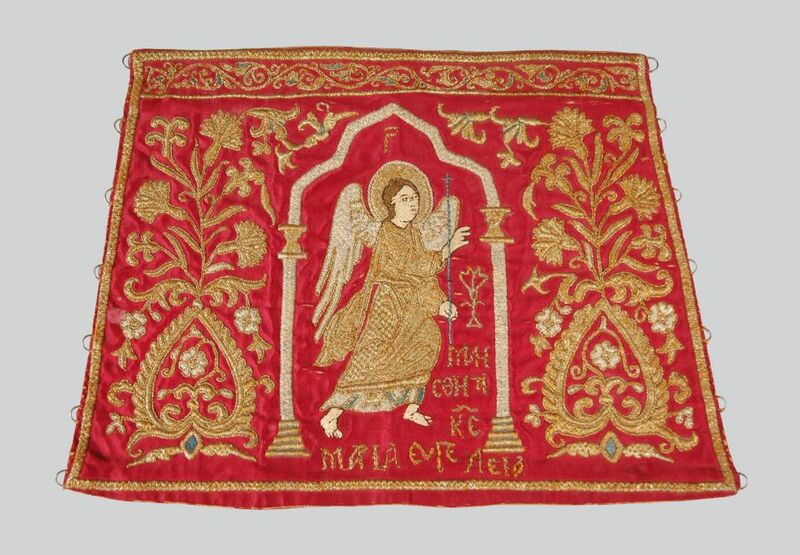 These travels gave him the opportunity to see, record and photograph important monuments and to collect artefacts with which to enrich the ChAS Collection; some of these are from 1923 onwards in the Byzantine & Christian Museum’s Collections. 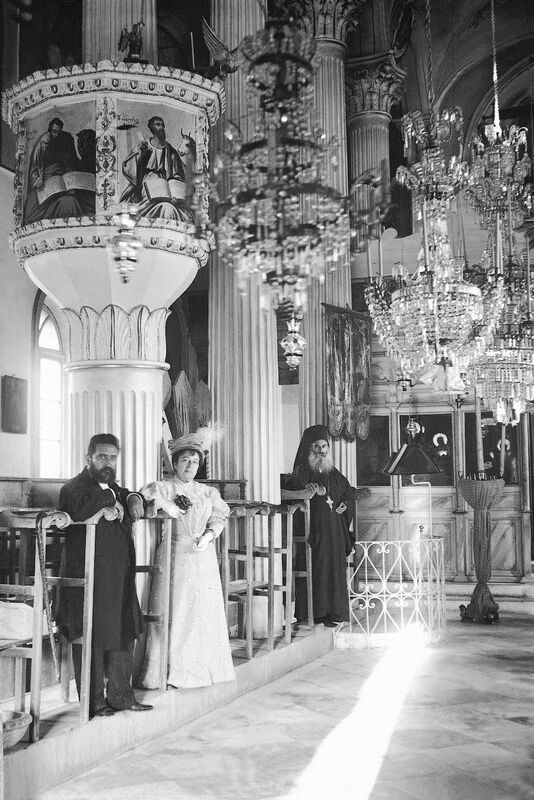 Georgios and Euthalia Lambaki in the Cathedral of Hagia Triada, Moschonesia, Asia Minor. 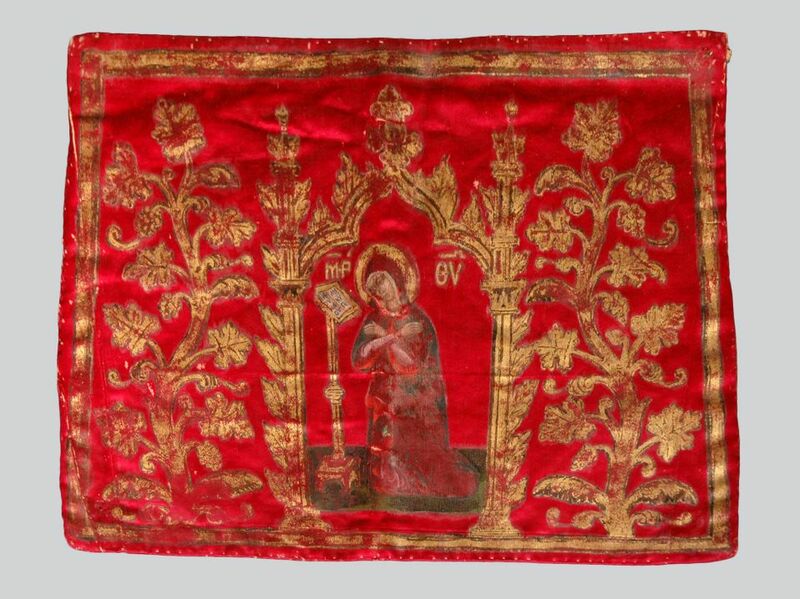 Byzantine & Christian Museum’s Historical and Photographic Archives. In which areas did he travel? G. Lambakis visited many places within the then Greek territory and also other centres of Greek and Christian Civilization. Amongst the most important destinations of his travels were Thessaloniki, Mt Athos, and Berroia in 1901, Macedonia, Thrace and Constantinople in 1902, the Cyclades in 1904, the Holy Land in 1905 and Asia Minor in 1906-1907. In which way the documentation during his journeys had been organized? Lambakis documented systematically his travel experiences and impressions, the description of the monuments he visited, while he used to take photographs of monuments and places. Also, he collected artefacts relevant to the History of the Christianity. 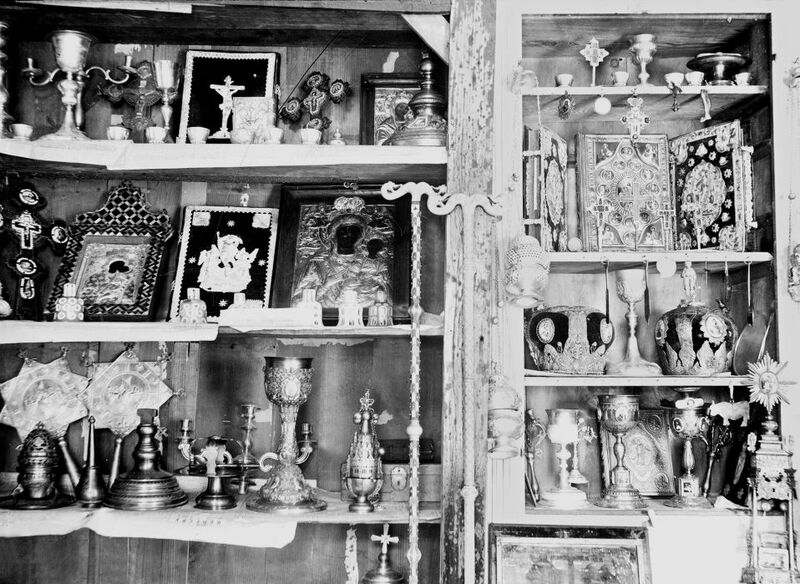 With references from the Church and the state, he urged priests and monks to give him objects that were no longer in use. This vast collecting project bore great fruit, since it was further supported by the municipalities and by private individuals. Sacristy, Trouliani Monastery, Mykonos Island. 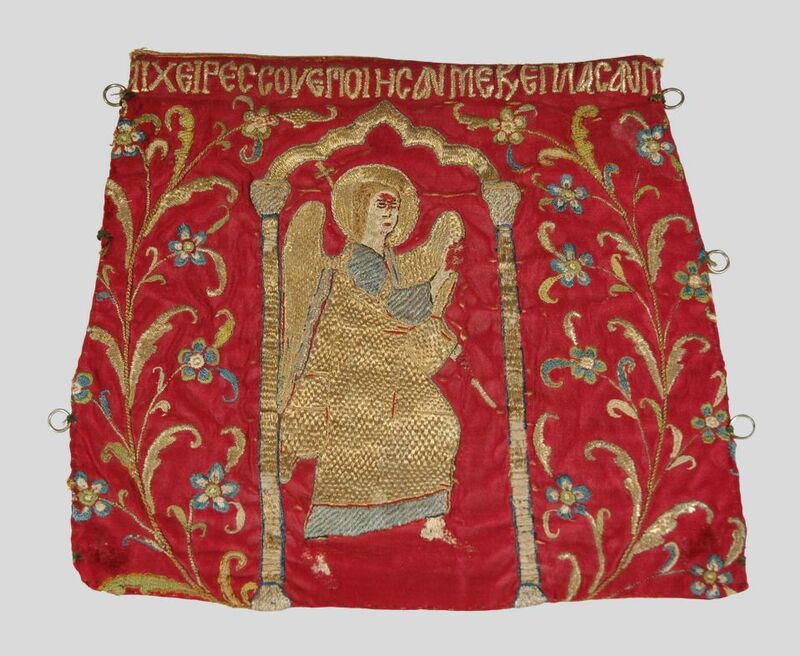 Byzantine & Christian Museum’s Historical and Photographic Archives. Chora, Andros Island. 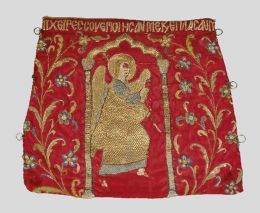 Byzantine & Christian Museum’s Historical and Photographic Archives. Basilica D in Sardeis. To the left is Euthalia Lambaki, while next to her are local people. 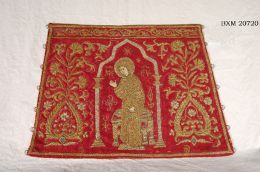 Byzantine & Christian Museum’s Historical and Photographic Archives. 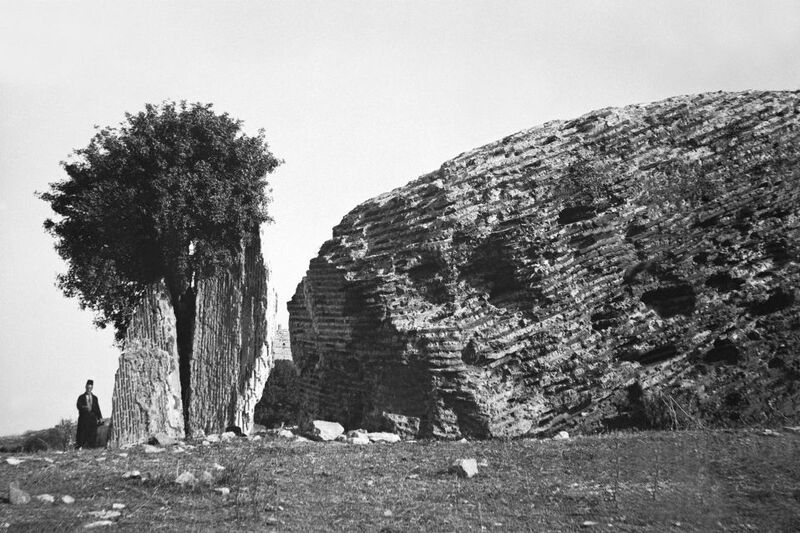 Church of Hagios Ioannes in Ephesos. Byzantine & Christian Museum’s Historical and Photographic Archives. 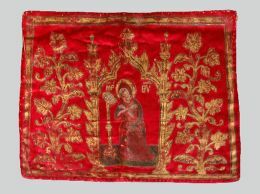 What kind of objects Lambakis used to collect? Mainly Ecclesiastical. But he collected also almost everything relevant to Christianity. Some of them are peculiar and of particular interest. He collected for example a small quantity of water from Jordan River, a branch of olive from the Mountain of Olives, tesserae from the mosaics of various churches. 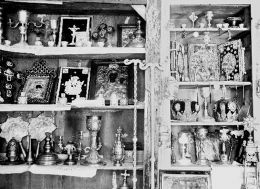 Lambakis had the opinion that these objects could be included into a museum; so he registered, documented and incorporated them in the collections of ChAE. 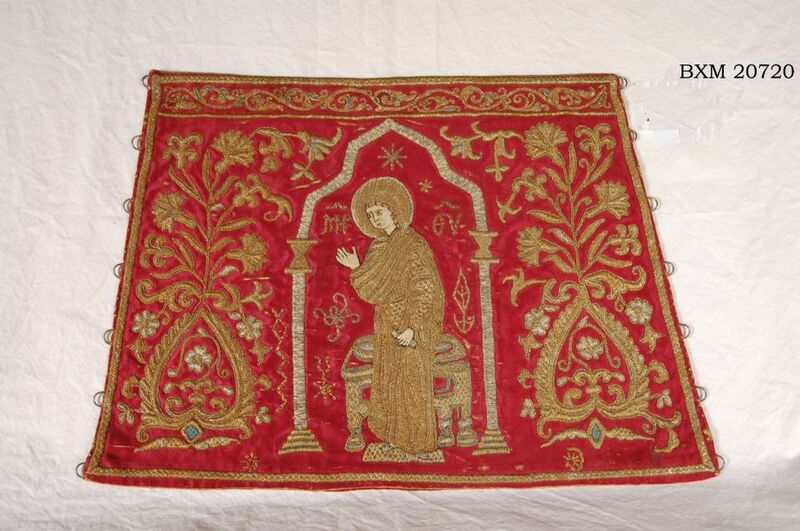 Most of these objects are kept today at the Byzantine & Christian Museum’s storage-rooms.